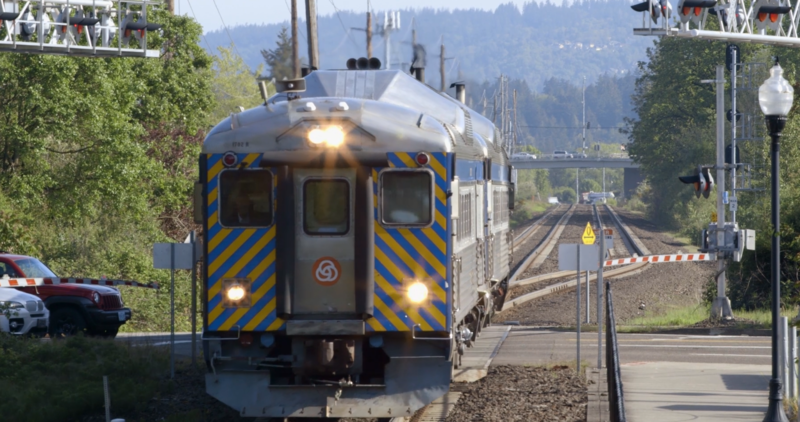 TriMet and Portland & Western Railroad are completing final upgrades and testing for a federally-mandated safety system called Positive Train Control (PTC) along the WES Commuter Rail corridor. As part of the project, crews will need to test railroad equipment during overnight hours Friday night, Dec. 7 through Monday morning, Dec. 10. That will require activation of the crossing safety lights, bells and arms at times. On Sunday night, it will also require trains to travel along the tracks and sound their horns at crossings, even in quiet zones. We apologize for the inconvenience and thank neighbors for their patience as we work to make our already safe railroad operations even safer for those onboard and nearby. WES service may be disrupted Monday, Dec. 10 as part of the work. Riders should check trimet.org/alerts before heading out Monday to find out if shuttle buses will be providing service instead of trains. PTC uses highly advanced technologies to improve railroad safety by preventing certain human-caused collisions between trains and derailments due excessive speed. The system also keeps trains from going into work zones and moving through switches left in the wrong position. A federal government mandate requires railroad systems across the United States to implement certified PTC systems by Dec. 31, 2018. 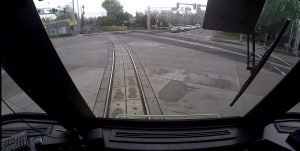 TriMet has had advanced safety controls in operation since WES first began service in 2009. TriMet had the foresight to install a system called Automatic Train Control that already met six of the eight PTC requirements. All of the hardware and much of the software needed to meet PTC requirements — both in the field and onboard vehicles — was already installed. To bring the system up to PTC compliance, we added software that controls temporary speed restrictions in work zones, and some automatic grade crossing protections, using a system called Enhanced Automatic Train Control. Early testing began in 2016 and we are on schedule to complete the work by the Dec. 31 deadline. WES railcars and stations are owned and maintained by TriMet, but the vehicles are operated by and run on tracks owned by Portland and Western Railroad. The agencies have been working together to meet PTC requirements. 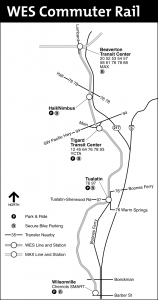 TriMet is funding the $14.5 million project as part of the shared-use agreement. 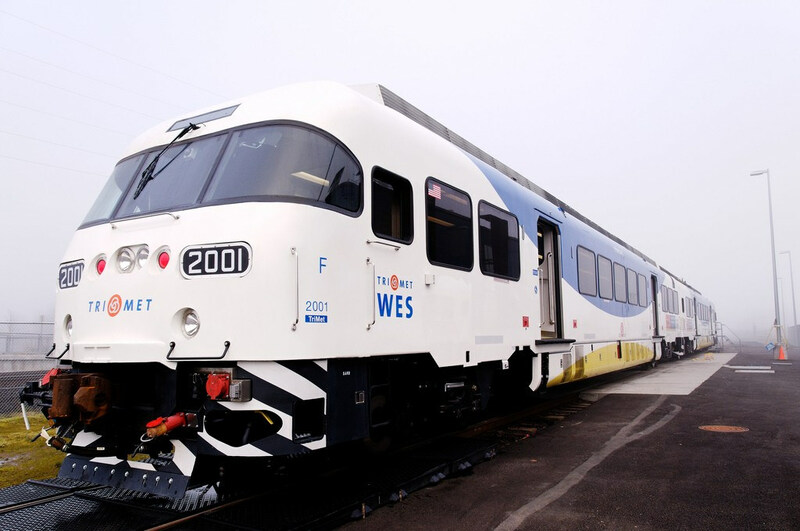 WES is a commuter rail line that runs on 14.7 miles of existing Portland & Western freight tracks to serve the cities of Beaverton, Tigard, Tualatin and Wilsonville. WES serves five stations weekdays during the morning and afternoon commuting hours, with trains arriving every 30 minutes. 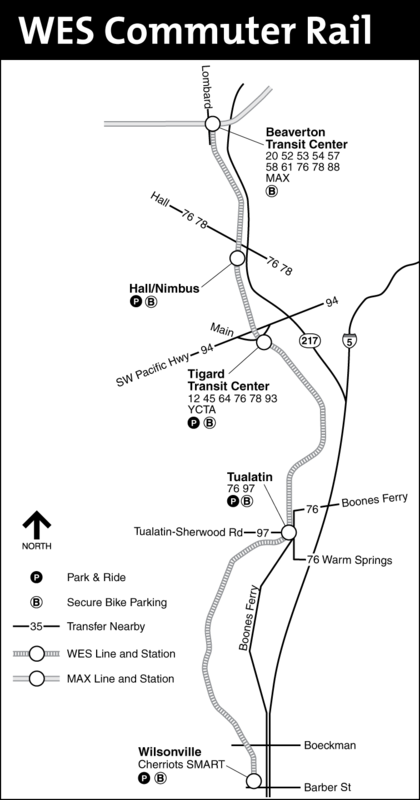 It connects riders with 11 bus lines and the MAX Blue and Red lines at the Beaverton Transit Center as well as with ten bus lines at the Tigard Transit Center.